Do you ever think about the golf tees you use? It’s a serious question. You spend a lot of time finding the right clubs, the right balls, the right shoes, the right glove. But do you ever put any thought into the golf tees you use, or do you grab whatever’s in the bottom of your bag and let ‘er rip? If you aren’t already using the best golf tees, you should be. Golf tees are a great advantage to golfers of every skill level. The teeing ground is the one place on the course where you can control the lie you’re hitting from. That should be a big deal if you want to give yourself a chance to score well. So we’ve written a little guide about the best tees for golf and how to find the right ones for you. Now that you have a rough idea about the length of tee you’ll want, it’s time to figure out the type of tee that’s best for you. Golf tees come in different designs and materials. Determine what are the best golf tees for you, from a wide range of choices below. If you want a simple tee that will last a lot of rounds and help you hit the ball, then the Zero-Friction Tour Tee is the product for you. These tees are plastic, so they are very durable. One package can last an entire season if you pick them up after each use. The Zero Friction design uses small pegs from the tee body to hold your ball, giving little resistance to your club and allowing you to hit the ball farther. They come in a variety of lengths and colors. Too much friction on the tee can cause errant shots and lost distance. If you want to find a tee that offers close to no friction, the Brush-T is a great choice. Instead of teeing your ball on wood, the Brush-T uses hundreds of small bristles, like a toothbrush, to hold your ball. This promotes the least resistance during your swing and can add yards to your drives. The Pride Professional Tee System is a great choice for golfers of any skill level. The tees are color-coded according to length, so you can find the tee that works best with any of your tee shots. The Pride system offers tees from 1-1/2 to four inches long. That means you can tee the ball as low or as high as you need, depending on your club. You can buy them in plastic or wood. If you like to leave a small footprint even when you play golf, you may want to check out these biodegradable tees from Stixx. These tees use paints and materials that will degrade faster than regular tees. And you won’t lose distance or accuracy of the tee, either. They are available in many lengths so you can use the tee you like and help save the planet, one tee shot at a time. While the Ackbrands MeasureTees can’t promise to help you hit the fairway, they will help you find the exact height you want to use your tee. These tees are 3 1/4 inches long and have demarcations to show you how far your tee is in the ground. You’ll be able to find the right tee height without a lot of guessing, letting you concentrate on good golf. If you know how high you like to tee the ball, then you should check out the Step Down golf tee. These tees have an easy-to-use design that only lets you put the tee into the ground to a specific height. They come in a variety of lengths and colors. The best golf tees are not always at the forefront of your game. There are many things to worry about if you want to go low. If you find the tee that lets you hit it far and straight, then it’s worth it every time. You should feel fortunate to use a modern tee. They weren’t always around. Back in the day, golfers used personal ingenuity to create a great lie. 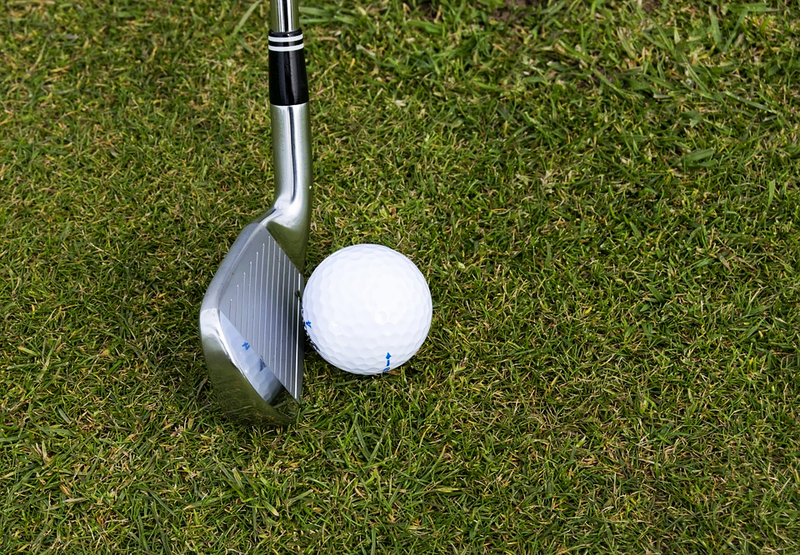 In the earliest days of the sport, golfers would use the heel of their foot or a clubface to build a little clump of dirt that would hold the ball for them. As golf progressed, players would make mounds out of wet sand. There were several patents awarded for golf tees in the late 19th and early 20th centuries, with many different designs and styles. But the “Reddy Tee” patented in 1924 had the modern design we know and still build upon today. The USGA estimates that companies manufacture over two billion tees each year for American golfers. That’s a lot of tees. So how do you find one you like? There are as many different tee designs as there are driver and wedge designs. The good news is there’s a tee out there for you. The bad news is that you may have trouble picking the right one. The most important thing you need to know is how high you want to tee the ball. The height will vary depending on the club you choose, but testing with your driver is a good start. As a rule, you want to hit on the upward part of your swing with a driver. This helps you get the height to hit the ball the farthest. Depending on your swing, you could need a tee as long as three or four inches. That means you need to do a little research on your end. Next time you tee up, pay attention to how the ball flies from the height you choose. Experiment with the height until you find the length that gives you your best drives. Once you find the ball height you like best, you’ll know the length of tee you’ll need.